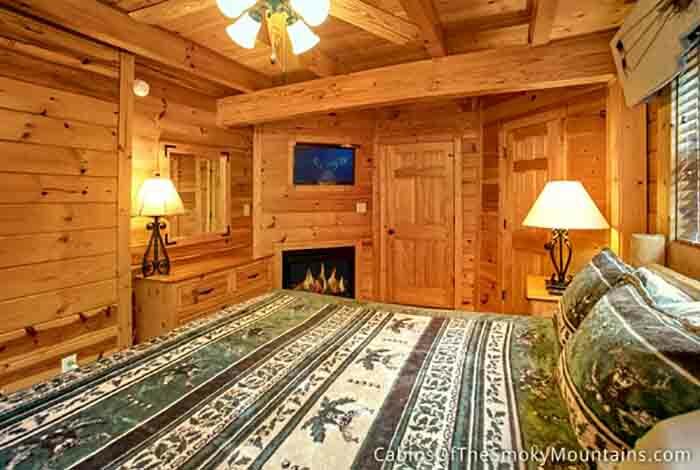 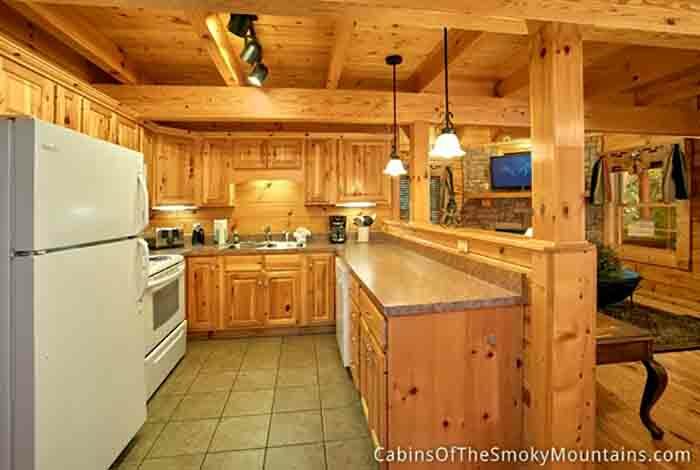 “Lovin’ it” is a 1 bedroom luxury Gatlinburg cabin rental that visitors are sure to fall in love with from the moment they step through the front door. 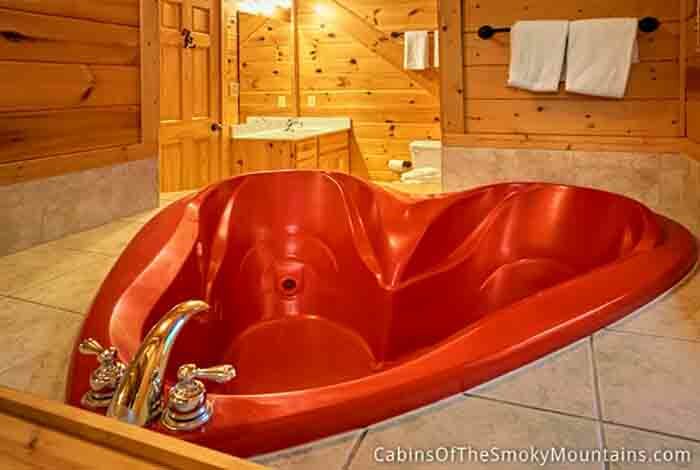 Couples are sure to enjoy the many romantic touches around the cabin like the red heart-shaped Jacuzzi tub, hot tub with serene resort views, or porch swing on the secluded top deck. 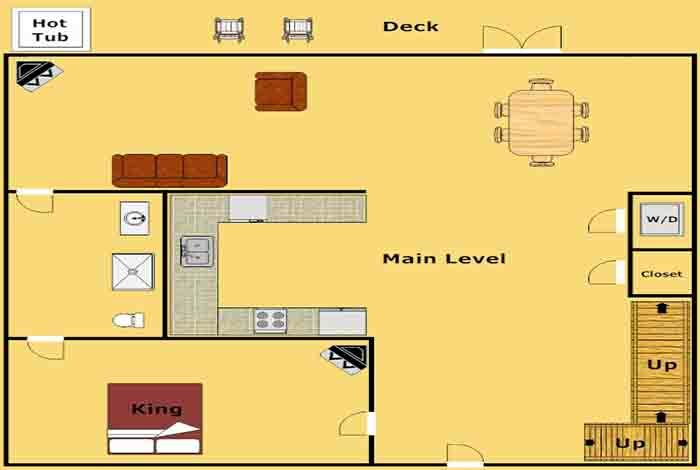 If the kids happen to be tagging along, there is plenty of room for them on either the queen sleeper sofa or queen futon. 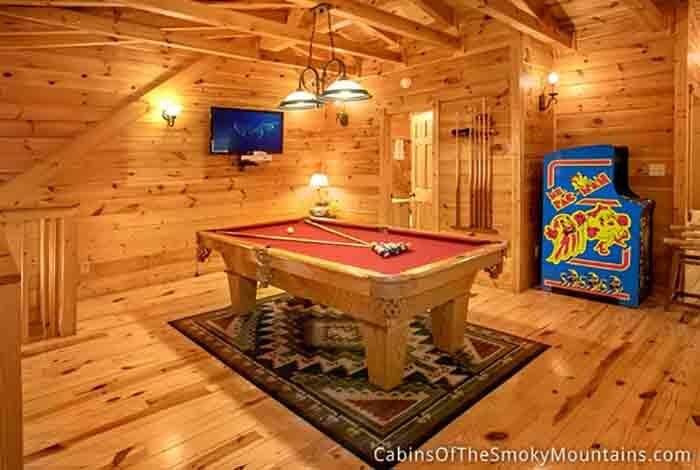 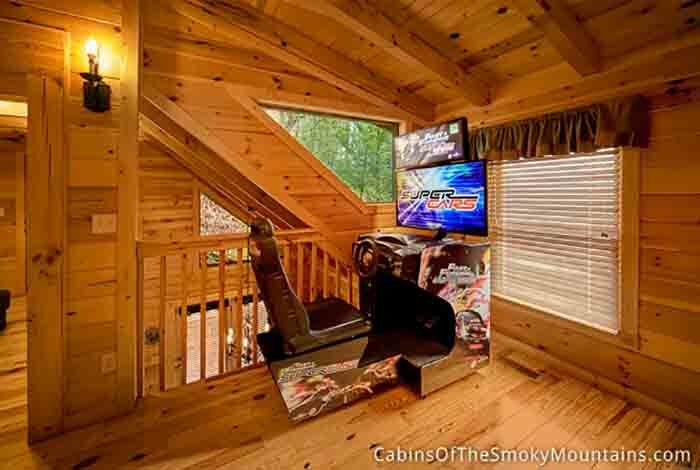 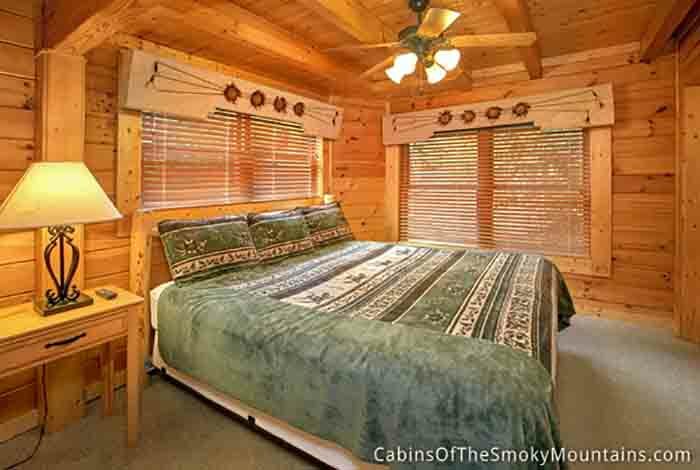 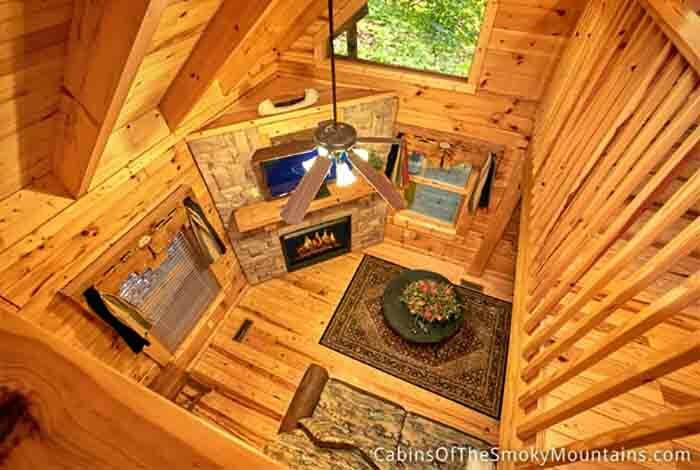 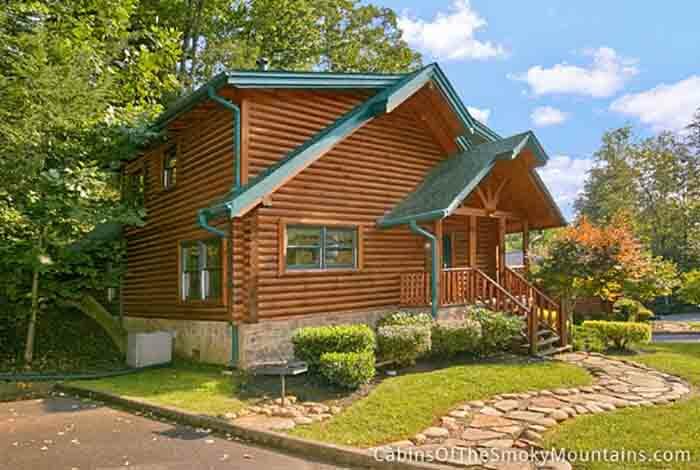 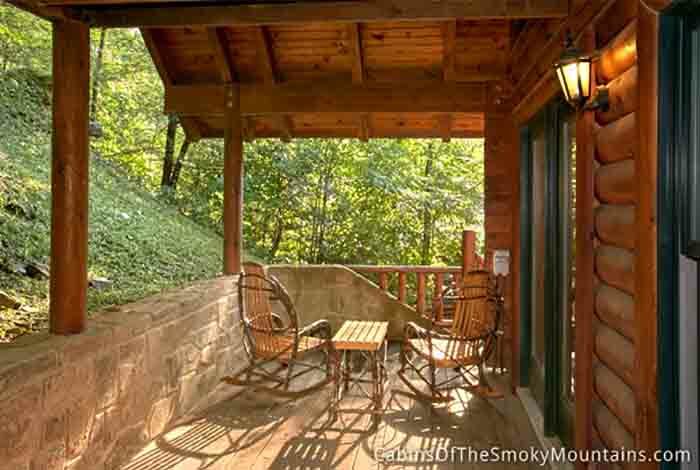 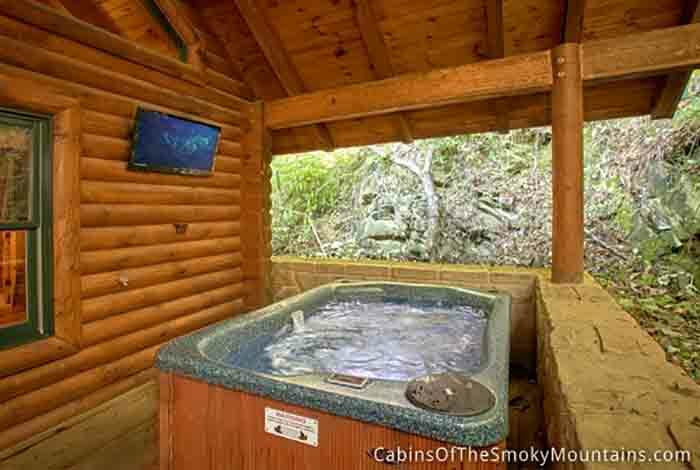 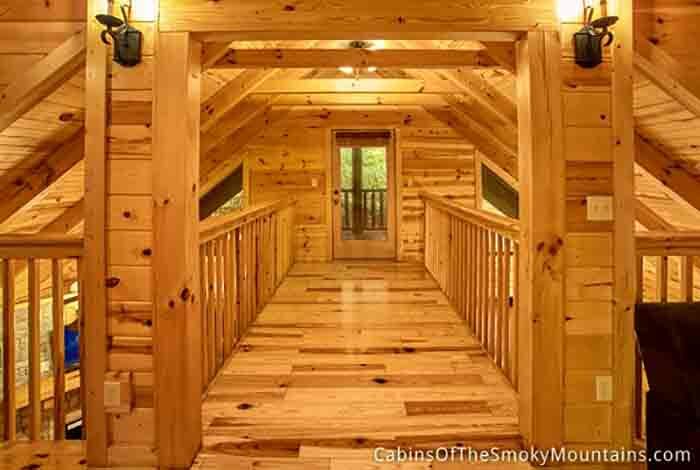 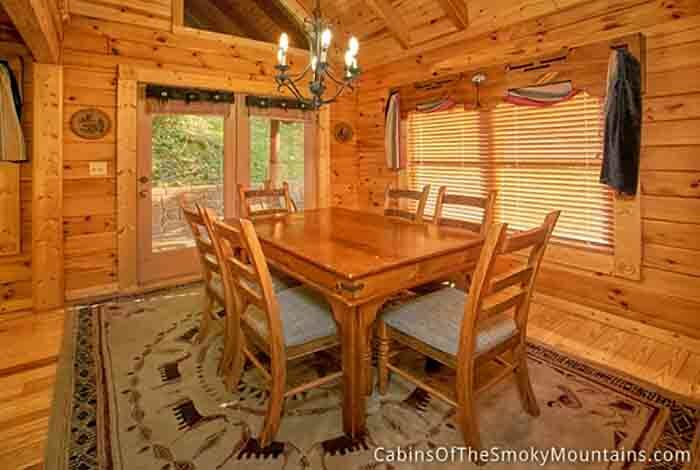 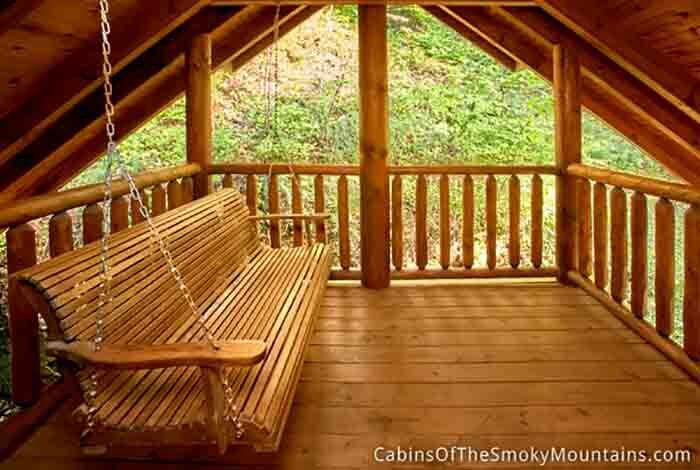 Because this cabin is centrally located in the Gatlinburg Falls Hidden Valley Resort just minutes from Gatlinburg and Pigeon Forge, it is easy to get out and explore all that the Smoky Mountains have to offer. 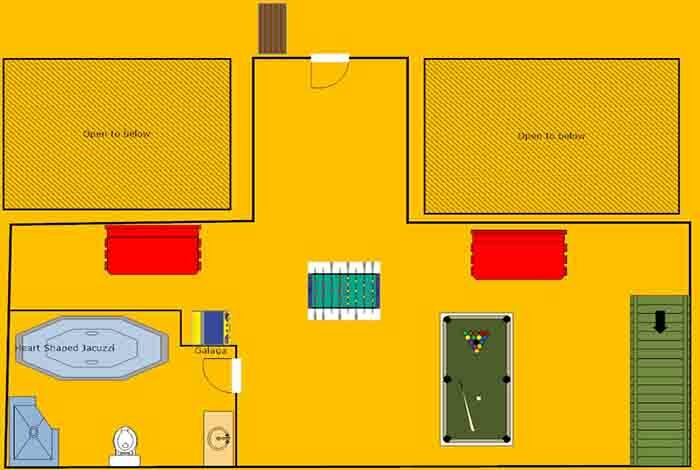 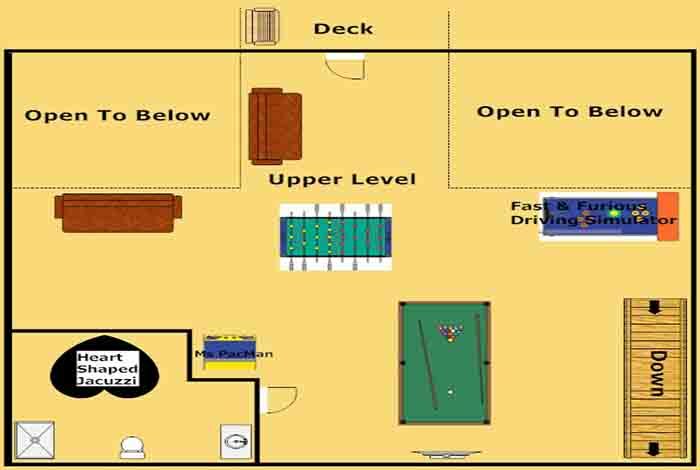 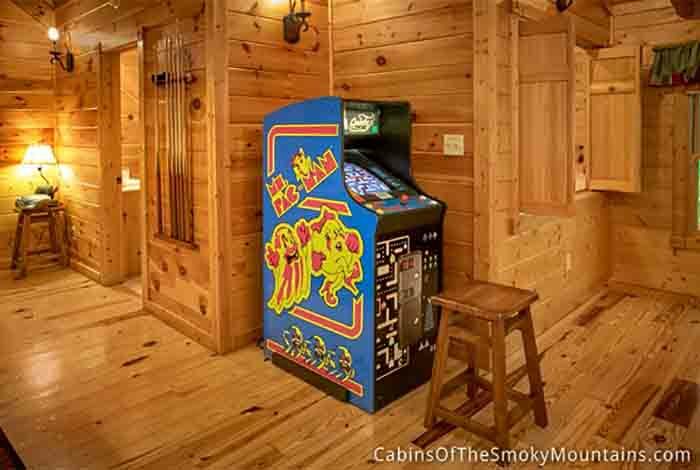 Then return home to relax in front of your two fireplaces, or test your skills on your Foosball table, Pool table, and Ms. Pac Man/Galaga machine. 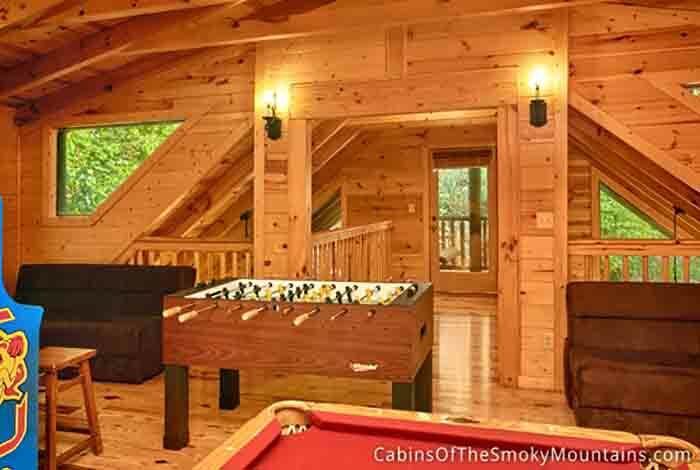 So if you are searching for the perfect romantic getaway for you and that special someone, and possibly the kids as well, Lovin’ It is the cabin for you.